He says in the instances when disputes do occur, it is normally when the agreement of sale is vague and simply states the property is sold ‘as is’ or voetstoots and includes all upgrades, fixtures and fittings of a permanent nature. In cases such as these it is important to determine what is regarded as permanent in nature. 1. What is the nature and purpose for which the item was attached? The item must be attached to the land or the structure erected on the land. It should be of a permanent nature or intended to always serve the land. 2. How and to which degree was the item attached? It should be sufficiently attached so as to become part of the land or structure. If removing the item will cause substantial damage to the structure, it should be considered permanent. 3. What was the intention of the owner when attaching the item? If the intention of the owner was to permanently attach the item, then that should be taken into consideration. Goslett says that generally if the item is bolted down, cemented, sown or planted and has taken root, it normally becomes permanent. He notes that some items such as Wendy Houses and Pergolas or other similar structures can be contentious issues. 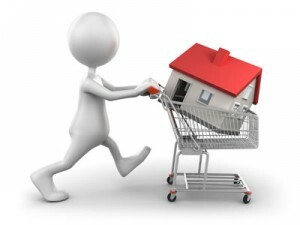 If they are permanent structures that will remain on the property, plans should be provided by the seller to buyer. Ensure that all aspects and agreements are in writing, do not rely on verbal communications and always create a paper trail, advises Goslett. If a dispute does arise, the court will consider all the surrounding circumstance, facts and even the conduct of the seller, he says. According to Goslett, the seller should prepare a list itemising exactly what is to be sold with the house prior to listing the property with an estate agent. He says the list should be incorporated into the mandate to sell so that the agent can point out to potential buyers any items that will be removed by the seller at a later stage. He adds that a basic clause regarding the fixtures and fittings should be included in the agreement of sale, otherwise referred to as the offer to purchase. The property is sold inclusive of all existing fixtures and fittings of a permanent nature, which the seller warrants are his/her exclusive property, fully paid for and in working condition, including but not limited to: the existing garden, trees, shrubs, plants, curtain rails, rods, pelmets, fitted carpets, the light fittings, stove and/or oven, hanging mirrors, towel racks, shelves, as well as special tap fittings, removable kitchen units, tennis court net, fire place grate/blower, fitted kitchen storage units, awnings, post box, burglar alarm system, doorbell/knocker, the television aerial and accessories (if applicable), pool filter, pump and all cleaning equipment including automatic pool cleaner (whether fixed or movable, if applicable), swimming pool equipment, inner and outer door keys. Goslett says open communication channels and ensuring all items are covered in the agreement will ensure that conflict is avoided by both parties.